If you were to ask Craig Thurber about his lifelong goal, he may simply answer, “Be better.” With the assistance of a $3,000 Lockheed Martin/ThanksUSA scholarship, the Army National Guard dependent is attending Southwestern College where he is pushing himself to be a better student, a better athlete, and an all-around better person. A natural athlete, Craig is pursuing a degree in Athletic Training. “I intend to utilize this degree and work as an Athletic Trainer while going to Physical Therapy school. I enjoy helping others and am excited to work in a health care/sports environment.” To compliment his studies, Craig is actively involved with various sports teams. 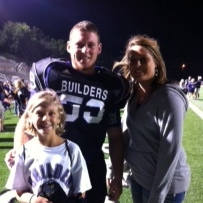 He’s a linebacker for the Southwestern Moundbuilders and will play intramural basketball in the offseason. Craig with his biggest fans–his sisters! There is no doubt that MSG Deghand would be proud of Craig. He is succeeding as a scholar, an athlete, and a positive role model to his sister and fellow athletes. 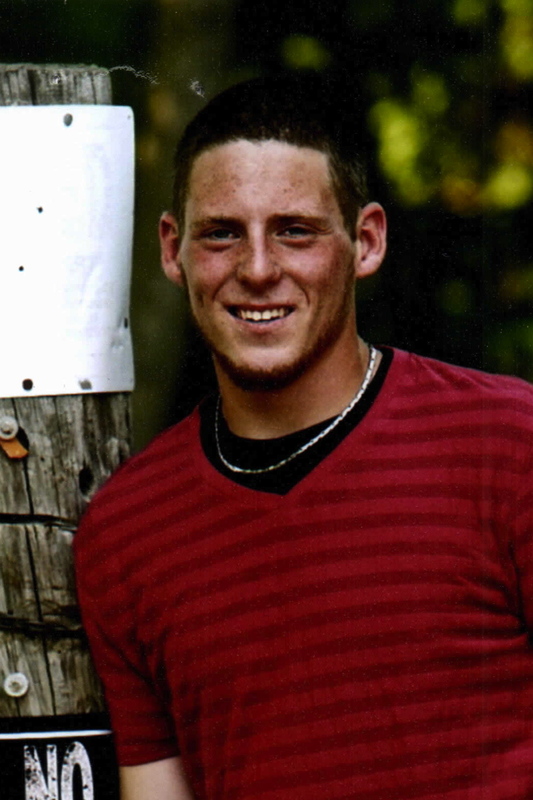 ThanksUSA is honored to award scholarships to deserving students like Craig Thurber. 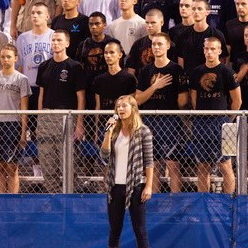 Navy dependent Charlotte Orren is a patriotic young woman who plans to serve our great nation as an Aerospace Engineer. She envisions more energy-efficient engines, advances in aircraft design, and sub-orbital space flights for commercial passengers. To help make her dreams a reality, Charlotte has applied her $3,000 Folds of Honor Foundation/ThanksUSA scholarship to continue her studies at Embry-Riddle Aeronautical University. 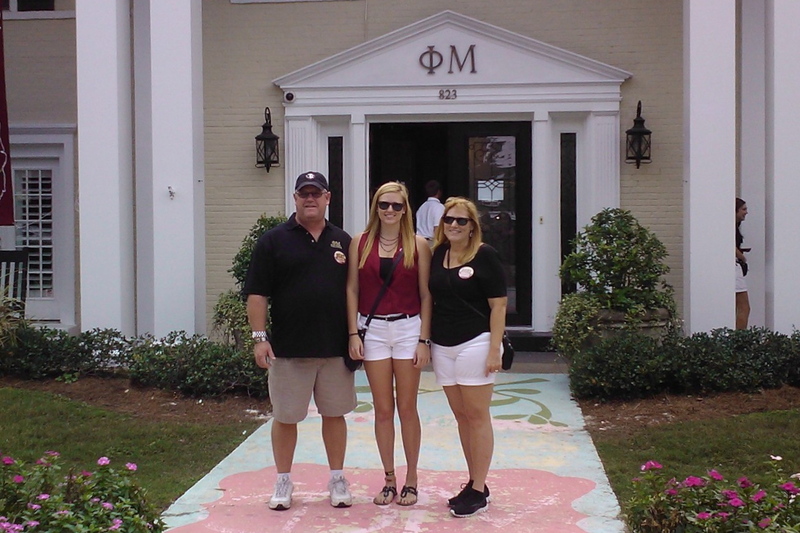 Though her academic success is clearly her own, Charlotte reports that her father’s career was an influence in choosing her major. Commander Scott Orren, USN (Ret), amassed over 21 years of aeronautical expertise as a naval aviator and engineer. As Charlotte considered college majors, CDR Orren took the time to explain the many facets of engineering and aerodynamics. Taking a serious interest in airframe design, Charlotte chose to major in aerospace engineering with the goal of working with industry leaders to design advanced airframe technologies for our Armed Services. Now in her sophomore year, she has an impressive GPA, represents her campus through student organizations, and is a student athlete. Charlotte’s athleticism began with tennis at a very early age. After playing for several years though, she realized that her heart just wasn’t into it. Although she had played an occasional round of golf over the years, she hadn’t really worked on improving her game. By the age of thirteen, Charlotte began to take golf more seriously; developing skills and discipline that would carry over to her academic life. 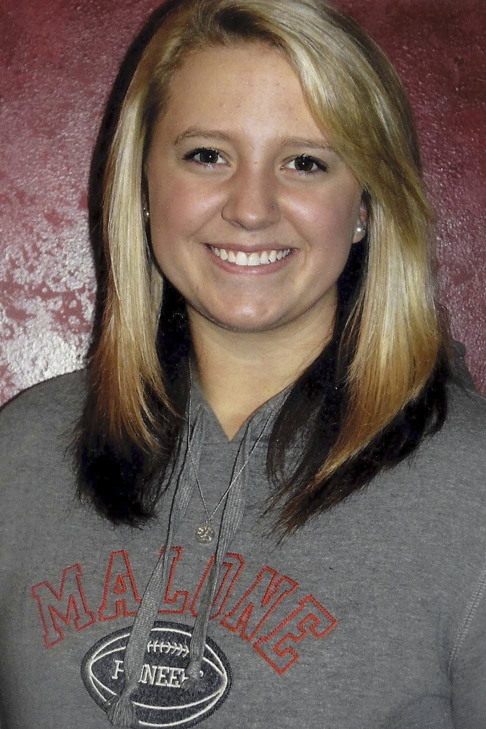 As a member of the Westview High School Girl’s Golf Team, Charlotte earned MVP honors and became a team captain. She has applied Coach Lopez’s patient guidance to every aspect of her life. In learning to remain positive and appreciate her own strengths, Charlotte gained great self esteem. Her newfound confidence challenged her to be more involved with campus activities and volunteerism in the surrounding community. 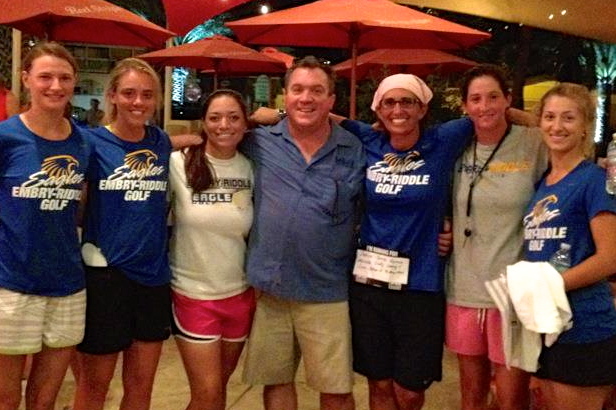 Without a doubt, Charlotte is making the most of her time at Embry-Riddle. 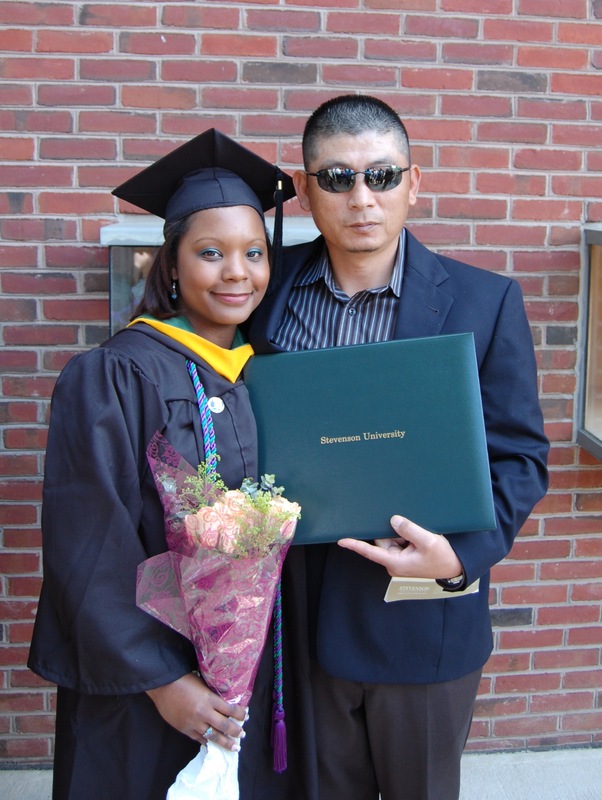 She says, “I am learning so many valuable lessons that I would not be able to learn anywhere else.” ThanksUSA is proud to support earnest military dependents like Charlotte. You can help provide the gift of education to military families by making your tax-deductible donation today. We continue to celebrate the success of the Hills Bros. Homefront Heroes campaign by introducing this week’s featured scholar, Air Force National Guard dependent, Monica Clevenger. Monica received a $3,000 Hills Bros. Homefront Heroes/ThanksUSA Scholarship to continue her Education studies at Malone University. Both of Monica’s parents have served with the Air Force National Guard her entire life. “They are the most encouraging, loving, and inspirational people that I know. I look up to them and hope to make them proud with everything that I do,” she says. Initially, Monica had planned to join the military but was not qualified due to medical conditions. She explains, “Since I can’t join the military and serve my country, I’ve decided to dedicate my life to serving the Lord and others.” She enrolled in Malone University as an Education major and joined service organizations and clubs so that she could serve the local community. Monica makes a point of learning important lessons from each of her service opportunities. “Student Senate,” she explains, “showed me how to be a better leader. Coaching volleyball taught me patience and understanding. Volunteering with an after school program for underprivileged children taught me not to take any aspect of my life for granted.“ Monica is also very interested in missionary work and plans to make a mission trip to a third-world country within the next two years. 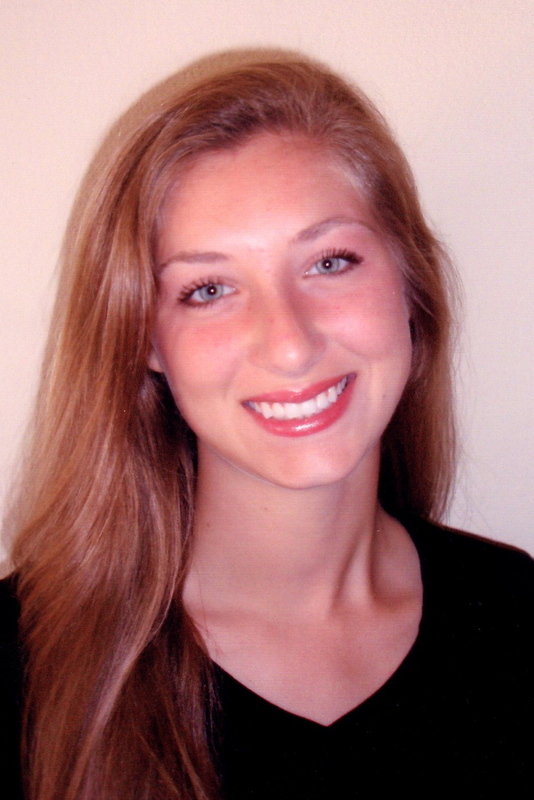 Congratulations to ThanksUSA Scholar Nicole Cook! The ThanksUSA team congratulates Army dependent and ThanksUSA scholarship recipient, Nicole Cook, on her recent graduation from Stevenson Unviersity! The daughter of Sergeant 1st Class, David Cook, U.S. Army (Ret), Nicole has received a total of $9,000 in Folds of Honor Foundation/ThanksUSA Scholarships to help fund her elementary education studies. Nicole is eager to begin her career as a teacher and we’re happy to report that she will be joining the faculty of Carroll County Public Schools. Nicole’s name may be familiar to ThanksUSA supporters because of her assistance with ThanksUSA outreach events, receptions, and fundraisers. Most recently, she represented ThanksUSA scholarship recipients at the 5th annual ThanksUSA Golf Tournament at Robert Trent Jones Golf Club. Prior to the event, Nicole appeared with ThanksUSA Chairman and CEO, Bob Okun, on Let’s Talk Live to speak about ThanksUSA’s mission and the golf fundraiser. Please join us in wishing Nicole and all recent graduates well with their budding careers or continued educational journeys…our outstanding scholars deserve our support and we hope to bring you more highlights from the Class of 2012! For Army dependent Devon Cooley, “It feels like only yesterday when I walked across the stage to receive my high school diploma.” Now, only weeks away from graduating from Michigan State University, Devon is busy preparing to be a Corps Member of Teach for America in New Orleans, Louisiana. Throughout Devon’s undergraduate studies, she has received $6,000 in ThanksUSA Scholarships including a $3,000 LM&O Advertising/ThanksUSA Scholarship for her final year. 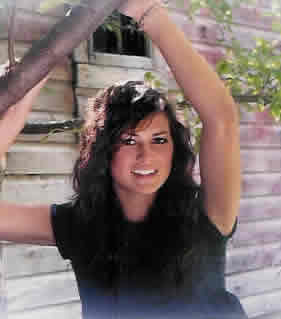 Devon will graduate from MSU with high honors, earning her B.A. in Advertising with a minor in Women’s Studies. 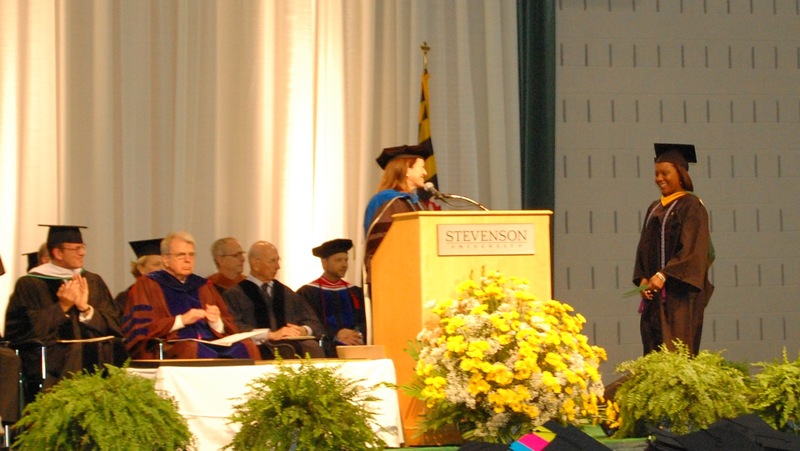 Devon explains that she was initially attracted to the field of advertising “because of its unique combination of psychology, creativity, and media.” Along the way, however, Devon’s minor helped shift her career focus. “I have decided to pursue a career pathway that strives to correct the pressing social issues of contemporary society. My minor has helped me strengthen my understanding of the intersectionality of the many different types of disadvantages faced by citizens across the country and throughout the world,” she says. 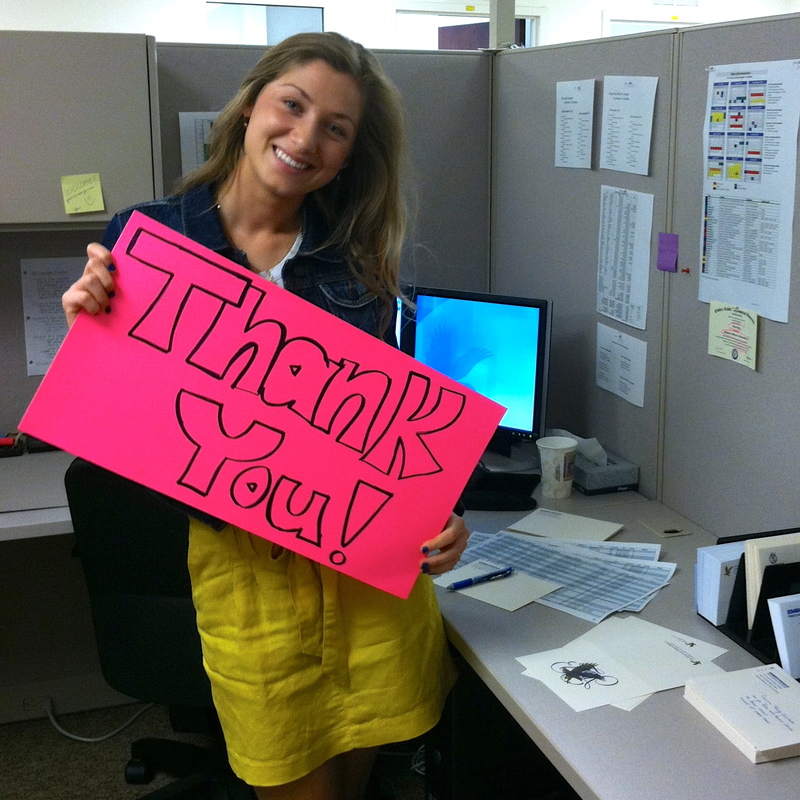 The financial assistance that I have received from LM&O Advertising and ThanksUSA has been invaluable to my education. Financing college has become increasingly difficult; yet the importance of obtaining a college degree has also become increasingly important. Without the help of ThanksUSA scholarships, I would not have been able to have such an incredible experience at MSU. I am grateful to have had the privilege of achieving a minor in addition to my major and to have experienced studying abroad. 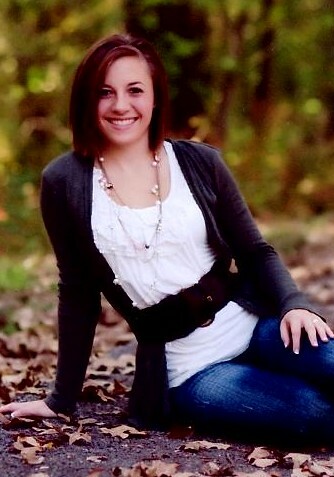 Gabriella “Ellie” Cavuoti is a compassionate nursing student who believes in the personal philosophy: “to those who are given much, much is owed to others.” This week, the Truman State University freshman shares her academic goals and how the $3,000 ESA Foundation/ThanksUSA Scholarship is helping her achieve them. Though there were many duty stations, Ellie’s parents always made sure that the family helped to build and care for the local community. Ellie adopted the concepts of “pay it forward” and “take care of your own” and is now looking forward to serving the communities of Missouri as a registered nurse. Her desire to serve others is also reflected in charitable efforts through the Alpha Phi Omega service fraternity. She has already volunteered with the local animal shelter, tutored elementary students, and participated in food, coat, and blood drives. In addition to her work through ΑΦΩ, Ellie volunteers with many children’s-focused causes like Nathan’s Quest, Vacation Bible School, and Parish School of Religion. Children hold a special place in Ellie’s heart and she knows that she will eventually marry and start a family of her own. Upon completion of her undergraduate nursing studies, Ellie plans to complete a graduate program and specialize in pediatric nursing. Truly a worthy investment! You can invest in deserving scholars like Ellie by making your tax-deductible donation to ThanksUSA today. All military dependents and spouses are reminded that applications for the 2012-2013 academic year will be available online from April 1 through May 15, 2012. Current ThanksUSA Scholarship recipients and prospective applicants are encouraged to register for an email reminder here.